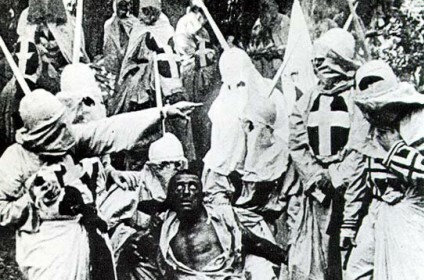 I think it’s true to say that, if film historians could go alter film history just that little bit, they would not have D.W. Griffith’s The Birth of a Nation as the cornerstone of their subject. The most sensational film of its age, one which ushered in the feature and a host of cinematic methods, one which drew in audiences in their millions, one which helped establish the cinema once and for all, one which made a huge amount of money – but also a film of blatant, poisonous racism. Why, oh, why, does such an important film in our field have to be a paean to the Ku Klux Klan? The embarassment, if not downright offence, that the film tends to arouse in performance nowadays, does not, however, negate its importance to film history – for all the reasons listed above and more. 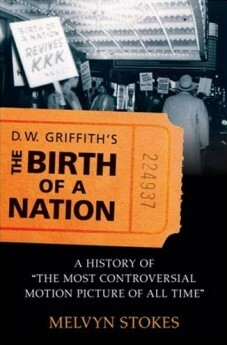 And the film has been given an exhaustive and what looks on initial inspection to be very impressive historical treatment in this new book by Melvyn Stokes, D.W. Griffith’s The Birth of a Nation: A History of “The Most Controversial Motion Picture of All Time”. Stokes covers the origins, production, reception and subsequent history of The Birth of a Nation, working from a huge range of sources, including the D.W. Griffith papers and the papers of the National Association for the Advancement of Colored People. The book is weighty (408 pages), though not handsomely illustrated. There are substantial chapters on Thomas Dixon, whose novel The Clansman inspired the film; on Griffith’s personal history and outlook; on the film’s production; on its dramatic impact on the cinema and audiences; on the protests and actions made against the film, particularly from the black community in America; an analysis of Griffith’s view of history as expressed through the film; and the subsequent history of the film, both its exhibition (the front cover shows a protest against the film held in 1947) and its uneasy elevation into cinema’s canon. Mevyn Stokes has produced some excellent work in the past on film audiences, and the book looks particularly strong on the film’s reception, its powerful effect on cinema as a social force, as a way of life for people. It attracted a huge middle-class audience most of which had not visited the cinema before 1915, widening cinema’s range, increasing its social acceptability, and of course bringing in much money from a wealthier clientele able to pay more for their tickets. Stokes makes it clear how little upset the film caused among the white majority audience, for whom the attitudes that it expressed regarding race were unexceptional. Plenty has been written on The Birth of a Nation‘s importance for film aesthetics and narrative, and on its racial politics. Stokes covers this ground too, but it is by being equally strong on the exhibition, promotion and response from different kinds of audience, and on the film’s relation to American social and cultural history, that makes the book so usefully multi-contextual, if you will. It looks set fair to become a standard text, not least just as a reference work for the subject, since every name, company or interest group involved seems to be cited somewhere. It’s not a radical re-reading of the film, but simply a methodical, thorough and palpably useful one. Perhaps we do not want to see a re-invented The Birth of a Nation in any case. It stands as a relic of cultural attitudes now overturned, “a reminder”, as Stokes says, “of just how much has changed since 1915”. It will always be an important film in history, but film history changes just as cultural attitudes change, and the film’s narrative skills now seem of far less moment than its significant place in the social and economic history of cinema that is starting to get written all the more.